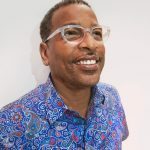 Founder of UniverSoul Circus, Cedric Walker talks about the company’s European Premiere at this year’s Edinburgh Fringe Festival! Having entertained audiences for 25 years, UniverSoul have gone on to diversify and redefine the art form of circus by celebrating the complexity of Caribbean and African culture. With cast members from South Africa, Trinidad and Tobago, Colombia, Cuba, the US, Guinea, Gabon, and Ethiopia, UniverSoul are renowned for producing shows with an international vibe. 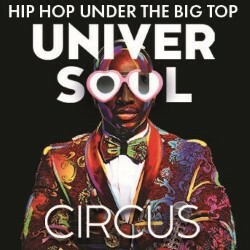 Having built up a reputation for their fusion of the traditional and the contemporary – UniverSoul contribute to Hip Hop culture with their championing of the brightest dance talent and showcasing of bold tricks. Company founder and former tour promotor Cedric Walker tells us more about what to expect from the company’s European Premier.